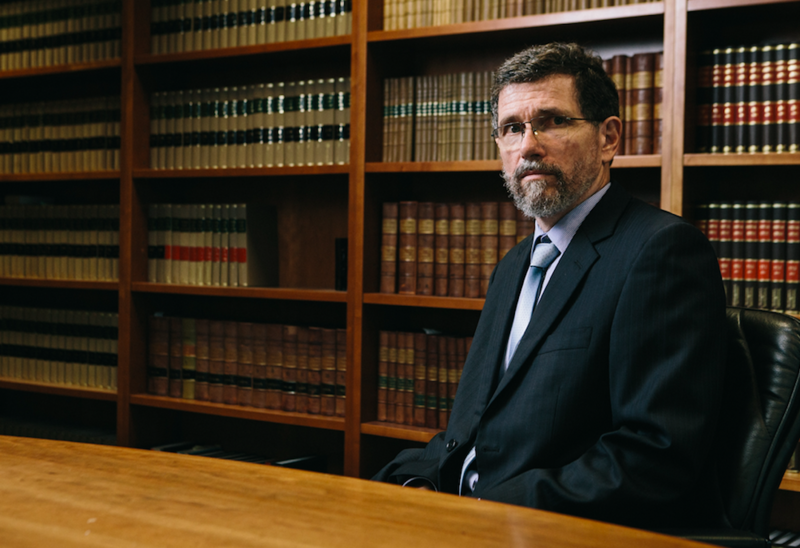 THE Australian Broadcasting Corporation – the most significant source of news and current affairs for Australia – is not reporting on Peter Ridd’s trial in the Federal Circuit Court in Brisbane. A key point made by Dr Ridd this morning is that there is absolutely no quality assurance of Great Barrier Reef research – research that they report on almost daily. Changes in temperature, acidity, and also turbidity (muddiness) are consequences of physical processes. Yet the media mostly interview biologists who assume changes, without actually measuring them and then set about establishing effects in fish tanks. Ocean acidification, for example, is an area of research where, in less than 20 years, the number of published papers has increased from zero to 800 each year. Sometimes the biologists have even added hydrochloric acid to artificially reduce the pH of the water in their fish tanks to mimic what their computer simulation models have determined must surely be our dystopian future. The media headlines then incorrectly report the result as the current situation at The Great Barrier Reef – this makes for more and more fake news. Meanwhile, physicist Peter Ridd has been studying and measuring actual changes at the Great Barrier Reef for more than 35 years – contributing to a deeper understanding of many of the most important physical processes. For example, if we are to measure the impact of sugarcane farming then we need to know how much muddier reef waters are now, relative to before European settlement. In the wake of the very high-profile launch of the WWF Save the Reef Campaign back in June 2001, there was a flurry of newspaper articles. They reported that sediment was literally smothering the corals of the Great Barrier Reef. Yet there was no evidence for this beyond some fake photographs that were exposed yesterday in the Federal Court by Peter Ridd’s Barrister, Stuart Wood QC. You can see these photographs in my last blog post. Over the years many biologists have been claiming that muddiness (caused by excess sediments) is a problem, and yet no one from the Geophysical Laboratory at James Cook University has been interviewed about this. At this laboratory there are physicists studying ocean tides, currents, waves and their effect on the concentration and distribution of the sediments, which are supposedly causing the problem. Peter Ridd joined the laboratory in 1989, as one of the first four post-doctoral fellows employed there. He is the only one to survive several decades as an academic at James Cook University, being promoted to Professor in 2008 and becoming the Head of Physics in the same year. Professor Ridd began his career undertaking detailed measurements of turbidity with different instruments. He was interested in how to measure the advection of sediment (mud) and its resuspension by wave generated shear stresses. This requires an understanding of Newton’s laws of motion and wave theory. 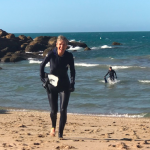 So obsessed was he with the accuracy of these measurements that he invented new equipment so that more accurate measurements of turbidity (muddiness) could be recorded under the variety of different natural conditions – considering the vastness of the reef. Once Peter Ridd had mastered this, he moved on to understand in more detail how sediments potentially carry pollutants, including fertilizers and pesticides, from farmland into reef waters. He was most interested in how these pollutants could potentially be mixed through turbulent diffusion and dilution, which are also complex physical processes. He has also studied temperatures: heat fluxes from the sun, infrared radiation from the surface (Stefan Boltzmann Law), evaporative fluxes and latent, vertical mixing of hot water into the water column by waves (another physical mechanism). These processes are now well documented including in some of his over 110 scientific publications. It is now understood how pH (acidity) varies on a daily, seasonal and inter-annual basis, including with large fluctuations in temperature that is common across bodies of water, and also with water depth. Yet the experiments in fish tanks, which some biologists persist with, fail to incorporate this variability into their design, or the interpretation of results. The Great Barrier Reef is a vast and complex ecosystem. It is the case that the considerable daily variations in temperatures, pH and turbidity from natural processes still dwarf any measurable human impact. 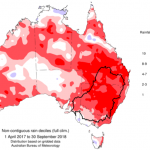 While there are trends of increasing water temperature and pH at some locations, it is unclear to what extent these longer-term trends are part of existing natural cycles. Peter Ridd’s life’s work has been focused on understanding real physical processes in extreme detail. In all of this, his interest has been on understanding the potential impacts of human activity on biological processes. 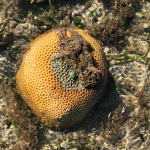 One of his most recent peer-reviewed publication is entirely about a biological phenomenon: coral calcification rates. He measured coral extension and density and determined that corals like it hot! It is a fact that most species of coral that live on the Great Barrier Reef also live in much warmer waters, closer to the Equator around Indonesia and Thailand. Coral growth rates are closely linked to temperature, and both appear to have increased ever so slightly at the Great Barrier Reef over the last 100 years. This is good news – unreported. The increase in growth rates may all be part of a natural cycle, or there may be an anthropogenic (human-cause) effect linked to global warming. 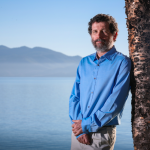 Peter Ridd has been keen to find a human-impact in the many and varied research projects that he has been involved with, many including biologists. If he had found a negative impact, he would no doubt still have a job doing what he is best at – teaching, and scientific research. 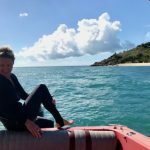 But science is currently funded and reported in such a way that inconvenient facts are ignored while Dr Ridd who has persisted with the truth – explaining that The Great Barrier Reef is healthy and reef research has no proper quality controls – finds himself in a law court and fighting for his job back. Peter Ridd now finds himself in law libraries. 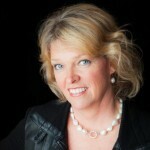 Thank you Jennifer – this case is a morale lifter. Gideon Rozner’s sequential tweets are quite informative. One can easily see why the sleazily dishonest ABC refuses to admit this court case even exists. From Norway, we follow Peters fight in court. It is of outmost importance for the freedom of Science, freedom of speech, and of truth. Peter is a symbol for all of us fighting the false belief in environmental catastrophies, and all the bad policies to follow. So far, very good for Peter. It is extremely perplexing and of great concern that in a supposedly free country that the situation Prof Ridd finds himself in is becoming more and more common. I have seen similar issues at UWA and Murdock in West Aust! It is heartening to see people of courage and integrity standing up to be counted. Well done and keep up the good work. As with your studies re Goulburn and other weatherstations’. The tendency to accept the theories of modellists over the work of practical scientists who actually measure things (and then do not fudge the data) is devastating to people who believe in accuracy. Engineering is considered applied science. The pH scale is log so every whole number is a power/factor of ten. By definition pH is the negative exponent of the hydrogen ion concentration. For instance, pH 9 is 10^-9 or 1 part per billion, .000000001. Ocean “acidification” of pH 8.2 to pH 8.1 is a change in H ions of 1 ppb. The irony is that if you don’t come up with research that supports the hysteria, you are not a “climate scientist”. At one time it was geologists that studied glacial and interglacial changes. Then, the discipline of geophysics developed. So climate studies are a subset of physics. I hope that Ridd’s case goes well for him and for science. Under a thorough due process it should. There are quite a few heartening factors in this court case. One that should not be overlooked is actual funding for the case. Legal proceedings are very expensive, so much so that most people won’t fight back because they cannot. Organisations (including Govt agencies such as the ATO) with access to ready cash count on this. Yet Peter Ridd went crowdfunding and achieved what was needed within a few days. That is, enormous numbers of people are and were aware of the issue and were overwhelmingly happy to contribute pronto. Vice-Chancellors – take very careful note. Our Devonian pinnacle reefs in the western Canada Basin are frequently capped with shale. Thnk you for reporting on this in such detail Dr Marohasy. There are many of us praying for a positive result for Dr Ridd, freedom of speech and actual science. “To go from pH 9 to pH 8 is factor of 10 or 1,000%!!!! Makes 26% look trivial. I don’t want to get off topic too much and I acknowledge that “acidification” is in quotes but it really bugs me when that term is used. It’s basic high school chemistry. The Ph scale above 7 is alkaline and below 7 is acidic. A solution which moves from 8.2 to 8.1 has not become more acidic it has become less alkaline. Using acidic to describe this is grossly misleading and unscientific but it is designed to shock the layman. Thank you, Jen. Clear, accessible and full of interest. A landmark case. I hope it marks a turning point back towards truth rather than ideological spin. Good luck Peter. I attended a one-day workshop in February this year on ‘Evidence-based Farm and Food Policy in an Era of Fake News’ held in Melbourne. It was sponsored in part by academics from the University of California, Davis, USA. The workshop was relevant to Peter’s situation. Several international speakers addressed the workshop and a documentary movie called ‘Food Evolution’ (available on iTunes) was shown at the close of the workshop. It focused on the fake news surrounding genetic research and technology but could just as easily apply to Peter’s case. I was surprised (as a somewhat naive scientist and economist) at just how easily ‘activists’ could distort messages going to the general public. Good luck Peter, but I will be surprised if you need luck. I’m no scientist or have any Marine qualifications what-so-ever. About 10 years ago I replied to a Greenie pushing the dying Great Barrier Reef Theory. I was born & raised in North Queensland. I’m from Ayr. The Burdekin Reef flows right past Ayr & Home Hill. In fact when the Burdekin used to flood Home Hill would be under at least 3 meters of water. The Flood waters would come right up tp Queens Street in Ayr to the Edge of Northwards Service Station. Another 600mm & the Flood Waters would have run through Queens Street. The Main Street. It did at the other end & Parkside would go under. I have photos taken in 1975 if the Flood one meter underneath the Burdekin Bridge. It’s approximately one & a bit Kilometers wide at the ridge & 30 meters to the road bridge. The Flood waters came from the Suttor & the Bogie. Luckily the Burdekin Dam was in place & there was very little water from the Burdekin it’s self. The mouth of the Burdekin changed Mud Islands were washed away & replaced by others. The Don River at Bowen also Flooded changing the Mouth of the River once again. The Johnson Flood Innisfail. In fact all the major rivers flood the great Barrier Reef with Silt, Mud & Debris every time the North Gets serious rain. That flooding of the GBR by the rivers just once will put more rubbish onto the GBR in one flooding that anything man could do in a thousand years. I haven’t mentioned the tonnes of fresh water that constantly flows onto the GBR from underground springs. So much so that at places you can put a glass of the side of your boat & get a glass of beautiful fresh water. As regards the Reef it’s self. For the entire existence of the reef, about 250000000 years the reef goes through cycles. One place is dead next door it starting to come to life, next door to that the Reef is in full bloom, next to that the Reef is starting to die, next to that the reef is dead. Around & around & around for 250000000 years. There is nothing that man can throw at the Reef that will make any long term difference to that cycle. The Reef it’s self is the length it is because Australia is moving northward at about 75mm a year. That accounts for the Earthquakes in New Guinea & the Tsunamis in Indonesia. The reef started growing around Bundaberg & has progressed north ever since as Australia moves. Peter Ridd is right in what he says. The Greenie Scientists are worried that if Ridd is proven right they might lose their Funding. They want their Funding to increase that’s why they scaremonger about the Reef all the time.